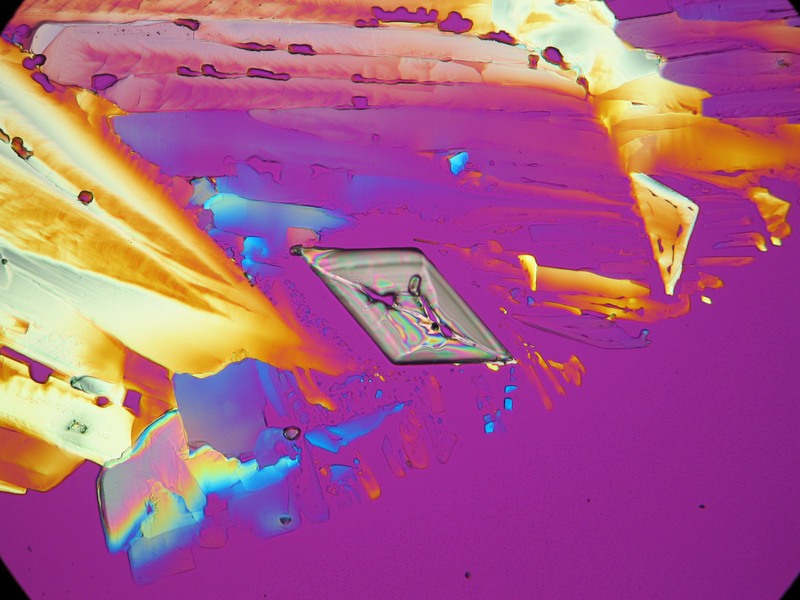 Author: Broul M., Nyvlt J.; Soehnel O.
Nitromagnesite has got a solubility of 4.7 mol/kg (at 20 °C). 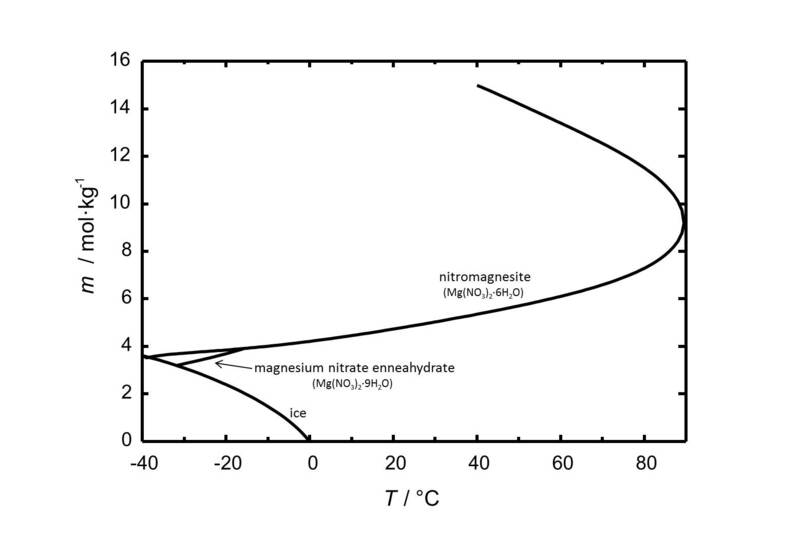 The solubility of nitromagnesite and other phases of the system Mg(NO3)2-H2O is shown in Fig. 1. 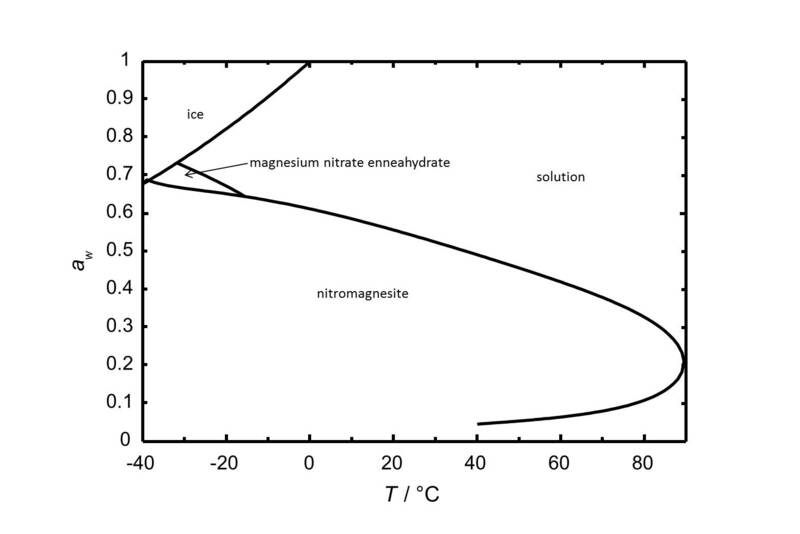 Figure 1: Solubility of magnesium nitrate in water. The molality m [n(Mg(NO3)2)•kg(H2O)-1] is plotted versus the temperature. The phase diagram of the system Mg(NO3)2-H2O is shown in Fig. 2. Figure 1: Phase diagram of the system Mg(NO3)2-H2O. The water activity aw is plotted versus is plotted versus the temperature. 61.3%r.h. 58.6%r.h. 55.7%r.h. 52.5%r.h. 49.2%r.h. 45.7%r.h.